What version of LSDJ was this created on? Thanks! seems to be working well. 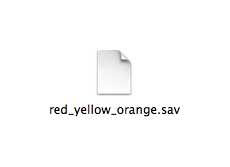 Do you have any other LSDJ .sav files up for grabs, or know of any others hiding on the net? there only seems to be a few chains per load on this .sav, is that correct or am i loading this in the wrong version? I tried 3.3.9 and 3.6.3, but it doesn't sound like the MP3 :-( .